A pair of federal efforts could make it more profitable to turn organic waste from agriculture and other sources into energy by taking advantage of the Renewable Fuel Standard. One is a bill recently introduced in the U.S. Senate that would create a 30 percent investment tax credit for qualifying biogas and nutrient-recovery systems. That would put renewable compressed natural gas on a similar footing with solar and wind energy. A separate approach, currently before the Environmental Protection Agency, aims to create a pathway that would pay biogas producers for providing power for electric vehicles. An energy consultant from Des Moines is one of several people in the U.S. trying to devise a record-keeping system that ultimately would pay biogas producers much more than they now earn for generating electricity. The U.S., and the Midwest in particular, has an abundance of energy-containing biomass – whether generated by farms or food processors, landfills or wastewater-treatment plants. The American Biogas Council estimates that there’s enough organic waste to produce the power used by 7.5 million American homes and to reduce emissions equivalent to those generated by 15.4 million passenger vehicles. But the marketing options at present are limited. 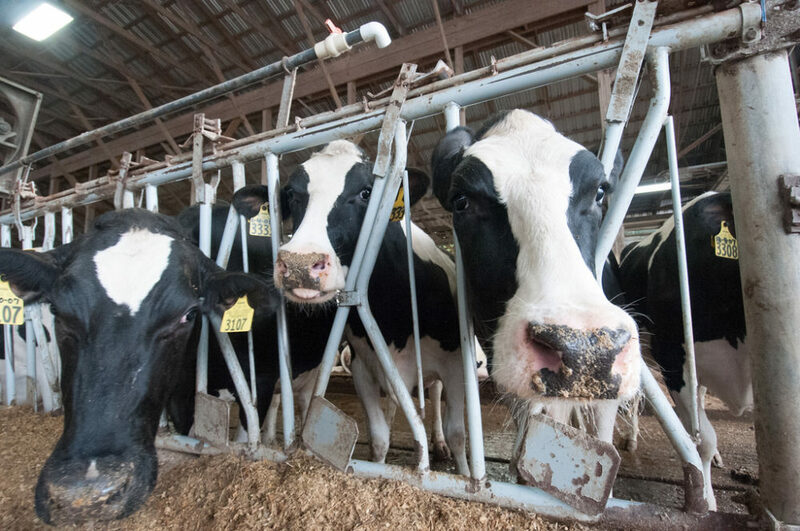 Farms and businesses and municipalities across the Midwest are using anaerobic digesters to extract methane from organic waste, which can power on-site generators for electricity. Many of them sell some of the power to their local utility. Iowa farmer Bryan Sievers sells manure-derived electricity from his cattle operation to Alliant Energy, his local utility. But his power purchase agreement with Alliant will expire soon, and he is pretty sure that the price per kilowatt hour will fall substantially, a consequence of the tumbling price of natural gas. That has happened to many dairy farmers in Wisconsin, and a number of them now are considering closing down their digesters. He said that many biogas producers are eager to purchase the equipment to get into that business because of the escalating prices for the associated environmental credits – or renewable identification numbers (RINs). RINs generated along with fuel from cellulosic sources, such as manure and sewage sludge, fetch a particularly high price currently. The fuel itself sells for about $3 per million BTUs, he said. But as a result of the federal Renewable Fuel Standard, he claims that the RINs that are generated along with the fuel now sell for as much as $30 or $40 per million BTUs. The enticing prices notwithstanding, Sievers said that the upfront cost of creating a small refinery at his cattle operation is daunting, and he’s been unable to see any way forward. The bill also would cover equipment used to extract phosphorus and nitrogen from manure, a process that would keep polluting nutrients out of streams and lakes. Serfass said that pollution-induced algae blooms abound in Republican as well as Democratic regions, and have drawn concern from legislators from both parties. Although he doesn’t expect this bill to pass on its own, Serfass said he’s hoping to get it incorporated into a larger tax bill. Another “active topic of conversation,” according to Serfass, is how to create a pathway whereby the power produced from organic waste would be credited with charging electric vehicles. It’s primarily a record-keeping challenge, one that Jeff Hove has been working on. He’s a consultant in the Des Moines area who is focused on clean-energy credits and, particularly, devising a system to prove that electricity from organic sources is, in effect, providing the energy to power the growing number of electric vehicles. In theory, electricity from organic waste qualifies under the Renewable Fuel Standard. The trick, Hove said, is to document that electricity from a renewable source is being used as transportation fuel. If and when the EPA accepts someone’s documentation, according to Hove, it probably will mean that digester-owners can earn an extra 10 cents per kilowatt hour over what they typically are paid now by their utilities. However, it’s the devilish details that have so far gotten in the way. “The rules already say you can do this … and we’ve got everything in place,” Hove said. “We just need for the EPA to say yes.” The agency collected comments on the accounting systems that have been proposed by Hove and others. He said the EPA is likely to make a decision sometime this year. Hove has designed a record-keeping system whereby he matches the amount of electricity used to power EVs with the electricity produced by anaerobic digesters, primarily in Wisconsin and Iowa. If his design – or another similar one – passes muster with the EPA, he said, “It’s going to be very advantageous to the agriculture industry.” A federal tax credit for power produced from organic waste expired at the end of 2016, leaving owners of digesters with no renewable incentives at all. Serfass, from the biogas council, said that there’s more than one viable strategy for exploiting the energy potential in organic waste. Jigar Shah, the founder of solar company SunEdison, is credited with helping transform the industry in the early 2000s by allowing customers a pay-as-you-go model for installing solar panels, opening the door for widespread adoption. After leaving SunEdison, Shah in 2014 co-founded his latest venture in San Francisco-based Generate Capital, a specialty finance company focused on sustainable infrastructure within the food, energy, water and materials sectors. Cities and agricultural regions burdened with substantial organic waste and nutrient runoff could potentially convert their pollution into profitable industries that would both produce clean fuel and improve water quality, according to an Iowa consultant.